No trip to Maui is complete without a trip to Paia, Maui's coolest little town. Located on the North shore, Paia started as a plantation town with the opening of Paia store in 1896 to serve the needs of the multi-cultural plantation workers of Paia Sugar Mill. Today, the wooden buildings of this quaint little town are still reminiscent of the plantation era but now house some of the best shopping and dining on the island. 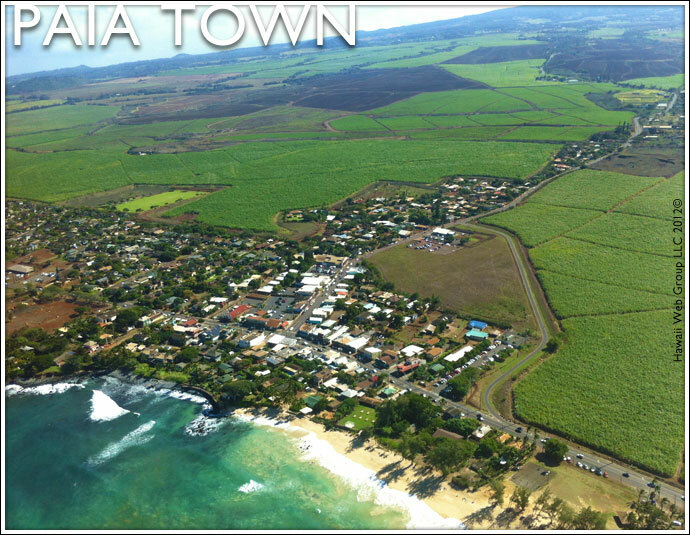 Paia town's main drag is also just a stone's throw away from one of the best windsurfing spots in the world, Hookipa, and the surf lifestyle has definitely had an influence. 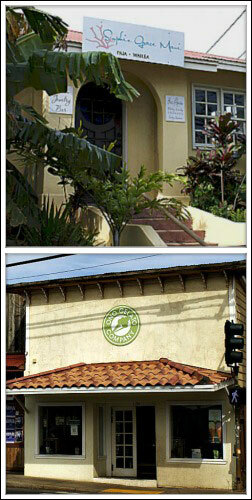 Casual and laid back in feel, Paia is a great day trip for some shopping and lunch, followed by a gelato or latte. 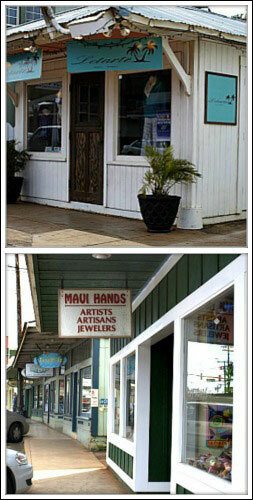 Paia is home to several Maui designer flagship stores. Tamara Catz is known for her resort clothing and also designs a bridal collection perfect for an island wedding. Popular with visitors and locals, Maui Girl offers a wide variety of bikinis including colorful separates designed by its owner, Debbie Kowalski Wilson. Sisters Lisa Cabrinha and Michele Ross created Letarte in 2000 to offer some of the finest swimwear, cover-ups and sportswear in their signature prints. Both Maui Girl and Letarte suits have adorned the models in Sports Illustrated. Alice in Hulaland's and Biasa Rose's offerings includes contemporary clothing for men and women. Alice in Hulaland leans toward the funky and hip, including a wide selection of hats and Havianas flip-flops, perfect for island life. Biasa Rose carries a wide selection of luxury contemporary brands like James Perse in cool comfortable fabrics. Biasa Rose also has a wonderful selection of small leather goods, handbags, totes and jewelry. Nuage Bleu is one of the best contemporary boutiques for women on the island and is the perfect spot to pick up the perfect jersey dress or top from brands like Velvet, Fighting Eel and Susana Monaco. They also carry a wide selection of jewelry made on Maui and leather goods including pieces by Linea Pelle. Imrie's Paia location carries a selection of modern casual basics in neutral colors with a luxurious bohemian feel including it's own private label pieces. Distressed leather belts, bags and wrap bracelets round out their well-edited selection. A husband and wife team, Daniel and Caramiya Sullivan, own Indigo and design each piece in the store. Walking into Indigo feels like walking into an exotic treasure chest. Indigo is filled with fair trade rugs, up-cycled furniture, linens and home accessories in prints which will add a global feel to your home. Jewelry, bikinis and caftans are also wonderful pieces to wear during your stay on Maui and beyond. 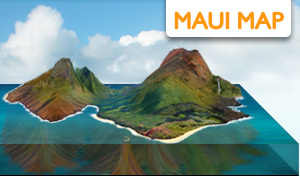 Art, pottery, jewelry and other handmade pieces by local artisans can be found at Maui Hands or Maui Crafts Guild. Many Paia galleries features dynamic and fresh exhibitions of both upcoming and known artists. While all of the boutiques carry a wonderful selection of jewelry pieces made on Maui, Sophie Grace has a jewelry bar in addition to pre-made pieces where you can choose your chain, beads and stones and have a custom piece made on-site. The boutique also carries a nice selection of gift items including many pieces perfect for the little ones. 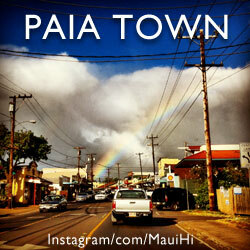 Paia is also home to many a surf shop including Da Kine, Honolua Surf Co and Hi Tech. You can also get your yoga fix with apparel from Lululemon. 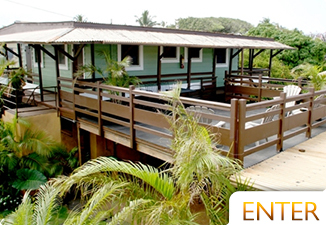 To start off your day, check out Paia Bay Cafe for breakfast and a cappuccino. For lunch, Milagro's will satisfy your craving for Mexican and Paia Flatbread Pizza serves up lovely thin crust pizzas made with fresh ingredients. Charley's is the perfect place for a few drinks and some live music. Café Mambo, Café Des Amis and Moana Café are also worth a look. Paia Fish Market is always packed with customers willing to wait for their famous fish burger. Paia Gelato will give your sweet tooth a thrill with their creamy gelato made locally from quality ingredients. A short drive from the shops of Paia town, before Hookipa, is Mama's Fish House, fine dining in a casual atmosphere with local caught fresh fish specials daily. Head one mile north to find the recently opened Kuau Store (808 579-8844), which offers Hana bound travelers gourmet picnic lunches to-go in addition to a wide variety of Maui made food items and fresh deli options. Grab a kombucha on tap or Mojo Mojito juice drink to go with The Hot Cuban panini or any of their other delicious sandwiches. 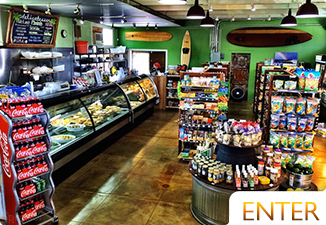 Specializing in local food items, this is a great place to stock up on snacks for your adventure along the Road to Hana. For great overnight accommodations in Paia Town, we recommend the Nalu Kai Lodge, a charming, Hawaiian inspired boutique hotel that sits a 3 minute walk away from the gorgeous Paia Bay Beach. Guests can choose from Standard Lodge Rooms, Renovated Lodge Rooms with A/C or a 1 Bedroom Apartment with full kitchen. Grab a seat on the 2nd floor sun deck and watch the ocean waves roll in, nap your problems away in the downstairs hammock or enjoy a yummy cocktail from the lanai tiki bar. 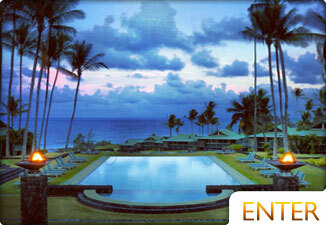 Best of all, you're within easy walking distance to all of Paia's best shops, restaurants, galleries and beaches. 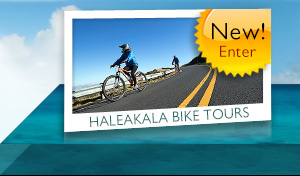 Visit NaluKaiLodge.com for more information or call directly at (808) 385-4344. 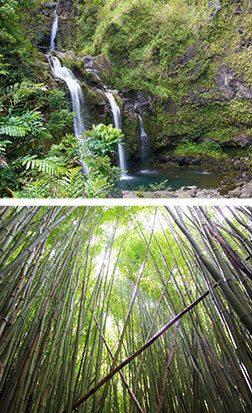 Just east of Paia begins Maui's famous Road to Hana, where waterfalls, bamboo forests, rainbow eucalyptus trees, stunning scenery and more await. But unless you know where you're going, the many available sites and stops can easily become overwhelming. HIke Maui offers private half and full day adventures of Maui's north shore waterfalls, many of which you won't find in a guide book or on a clearly marked sign. Enjoy swimming in postcard-worthy locations with help from your local guide, and focus on the adventure rather than the directions! 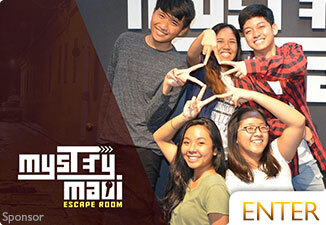 For more information about their North Shore Waterfall Adventures, please contact Hike Maui at (808) 427-0849 . Tania Ginoza is the writer behind Maui Shop Girl, a lifestyle blog which focuses on design, dining and life on the island she calls home, Maui No Ka Oi. The best of Paia, Kahului, Maalaea, Iao Valley and Wailuku. 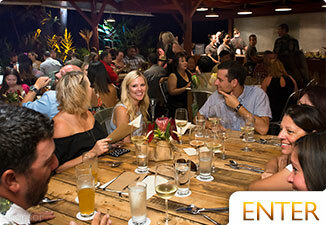 Find out what other great restaurants are in north Maui. 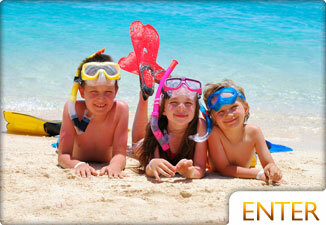 Find information on car rentals, bus schedules, hitchhiking and more.